Screens for obstructive sleep apnea. Note: The STOP-BANG questionnaire screens for obstructive sleep apnea (OSA) only, not central sleep apnea. Unnecessary if a patient has already been diagnosed with OSA or uses CPAP at night. Patients presenting to a clinic setting with symptoms associated with OSA like: daytime drowsiness, snoring, observed periods of nighttime apnea, noisy breathing, etc. The STOP-BANG questionnaire is not well-validated in the obstetrical population, a subgroup with increased risk of OSA. The STOP-BANG questionnaire is one of the most widely accepted screening tools for OSA. OSA (obstructive sleep apnea) is associated with increased risk of perioperative cardiopulmonary complications, including critical care admission. Outside the perioperative setting, OSA has significant morbidity and may result in daytime sleepiness, neurocognitive deficiencies, and cardiopulmonary conditions. Perioperative risks associated with OSA may be modifiable through increased monitoring and treatments (i.e., perioperative CPAP). Consider reducing narcotic medication doses. Use caution when extubating “deep” or prior to return of airway reflexes. Consider extended monitoring in PACU prior to discharge to an unmonitored floor. Consider admission to a floor with increased level of monitoring or nursing supervision. Patients should be counseled to bring their own CPAP machines to the hospital preoperatively if they have them. PAP (positive airway pressure) machines should be available in the PACU (post anesthesia care unit) or on the floor for patients who are high-risk for OSA. Following the perioperative period (or prior to if identified in a preoperative clinic), patients that screen as high-risk for OSA (obstructive sleep apnea) should have formal polysomnography to receive a definitive diagnosis. OSA (obstructive sleep apnea) is due to a mechanical obstruction of the upper airway resulting in diminished breathing (hypopnea = narrowing) or elimination of breathing (apnea = collapse and obliteration). The gold standard for OSA diagnosis is polysomnography. CPAP (continuous positive airway pressure) is the first-line treatment of OSA and is very effective in stenting open the upper airway, but patient compliance is poor. The STOP-BANG questionnaire was originally developed by Chung et al in 2008. The focus of this seminal paper is on the STOP questions in preoperative patients. However, appendix two is the STOP-BANG questionnaire which includes four objective assessments alongside of the four STOP questions. By including the BANG assessments with the STOP questions, the authors increased the sensitivity and negative predictive value of the screening test. Xará 2015: High-risk OSA patients (>3 on STOP-BANG) have a greater incidence of postoperative respiratory complications including inability to breathe deeply and episodes of desaturation. Uchôa 2015: OSA is independently associated with an increase in major adverse cardiac and cardiovascular events following coronary bypass graft surgery. Tan 2016, Nagappa 2015: While initially developed for preoperative patients, STOP-BANG is an effective screen for the general population. The STOP-BANG questionnaire has been translated to and validated in multiple languages including Arabic, Portuguese, Chinese, and Danish. Chung F, Yegneswaran B, Liao P, et al. STOP questionnaire: a tool to screen patients for obstructive sleep apnea. Anesthesiology. 2008;108(5):812-21. Chung F, Subramanyam R, Liao P, Sasaki E, Shapiro C, Sun Y. High STOP-Bang score indicates a high probability of obstructive sleep apnoea. Br J Anaesth. 2012;108(5):768-75. Doshi V, Walia R, Jones K, Aston CE, Awab A. STOP-BANG questionnaire as a screening tool for diagnosis of obstructive sleep apnea by unattended portable monitoring sleep study. Springerplus. 2015;4:795. Nagappa M, Liao P, Wong J, et al. Validation of the STOP-Bang Questionnaire as a Screening Tool for Obstructive Sleep Apnea among Different Populations: A Systematic Review and Meta-Analysis. PLoS ONE. 2015;10(12):e0143697. 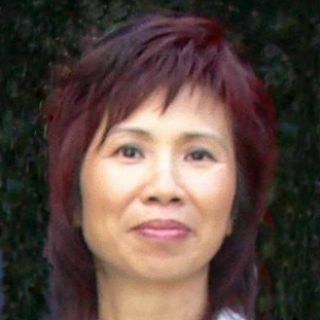 Frances Chung, MBBS, LMCC, FRCPC, is a professor in the department of anesthesia at the University of Toronto, Canada. She is also a clinical researcher at the Krembil Research Institute and a senior staff anesthesiologist at the University Health Network-Mount Sinai Hospital. Dr. Chung’s research interests include obstructive sleep apnea as well as ambulatory and geriatric anesthesia.